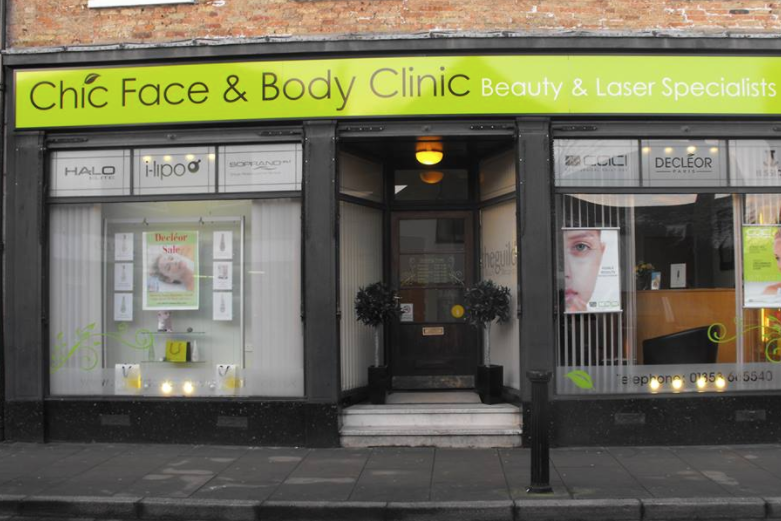 Beauty and Laser Clinic in Ely. I have been getting back, neck and shoulder massages at Chic for nearly a year now and I always look forward to them. I've tried a couple of other salons in Ely before but now I would not go anywhere else! Melissa is fantastic! I always get such a warm welcome, and I feel so relaxed afterwards. Great value and results too! Would strongly recommend! Thank you so much for taking the effort to write a review. We are very pleased that you enjoy your treatments and thank you for your loyal custom. Melissa has been my therapist for years. She is professional, knowledgeable and friendly. She always does a great job- thank you Melissa. As usual, excellent service! Have been their loyal customer for years and will stay with them for years to come. Thank you Sonja - what a lovely review! We look forward to seeing you again soon. I always thoroughly enjoy my facial with Jessica, she starts with an amazing back massage which truly puts you in the zone. The facial is wonderful so relaxing and my skin looks so radiant every time. Thank you for the lovely review Anita, we are glad that you enjoy your facials with Jessica and we look forward to seeing you soon for another one! Thank you for the lovely review Anya, I'm glad that you enjoyed your treatment with us. Thank you for the lovely review Raidah! Thank you so much for your kind words. We are very happy that you enjoyed your treatment. Thank you Sonja for the lovely review. Thank you for the lovely review Linda, we are glad you enjoyed your first visit with us at the clinic and look forward to hopefully seeing you again soon. Great service all with a smile. Thank you Stephen for the lovely review. My go to therapist at Chic who is always fantastically insightful and professional. Excellent at facials as well as massage. Thank you Mandy, we are glad you enjoy your visits with us and look forward to seeing you again soon. Always receive a warm welcome and prompt professional care, excellent. Thank you for the lovely review Mary, we look forward to seeing you again soon. I have just come back from a massage followed by a make up trial. The massage was fabulous and deeply relaxing. The make up trial was fantastic, my friends say I look amazing, younger and that it really suits me. The staff here are very friendly, knowledgeable and talented in what they do. Thank you so much, I am one happy customer! Thank you for the lovely review Claire, it was my pleasure to do your make-up trial for you and I look forward to doing the real thing for you on the day. Glad that you are one happy customer, see you again soon! My therapist Sandra was experienced and knowledgeable. It was all explained, treatment went well and set up next appointments easily. Thank you for the lovely review Mary. As always a great welcome, excellent service and not over priced. I had a lovely relaxing Christmas treat of a deluxe pedicure and nail colour at Chic Face and Body Clinic. Jessica and Caitríona were really welcoming and I love my new nail colour. Thank you for the lovely review Catherine - it was my pleasure to do your treatment for you and i'm glad that you enjoyed it. I look forward to hopefully seeing you again in the future.